Great performance by band at last week's Future Freshmen event! Phenomenal presentation by BOHS foods classes at the Future Freshmen event! Independent Living Center for our Adult Transition Students! 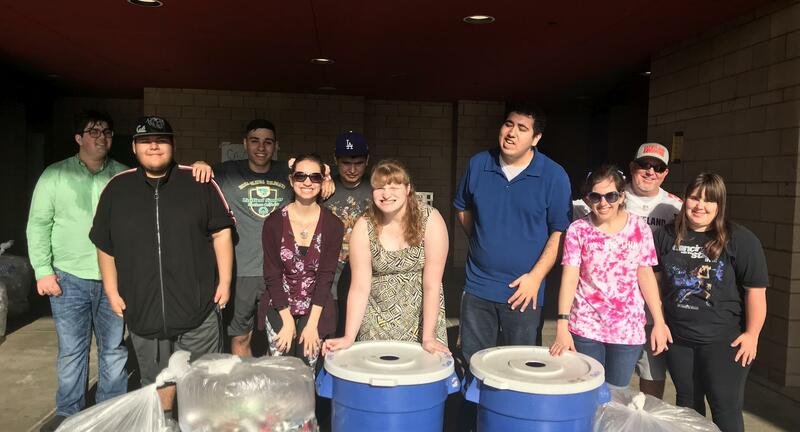 BOHS Adult Transition students collecting recyclables! Congratulations to our National Merit Scholarship Semi-finalists! Featured Video: You Matter Week - Who Matters to You? BOUSD Facilities Master Plan - Take a Look & Give us Your Feedback! The BOUSD Board of Education has been engaging in a master planning process to evaluate the district’s facility needs. Last year, a team of trained field assessors visited every site within the District to review, photograph, and assess our schools for immediate, short-term, mid-term, and long-term needs. California has the 5th largest economy in the world and the largest GDP of any state, yet ranks near the bottom in nearly every measure of school funding or school staffing. Click on the title of this news article to learn more and sign the petition. Check out the new issue of BOUSD School News Roll Call magazine, Spring 2019 - Enjoy!